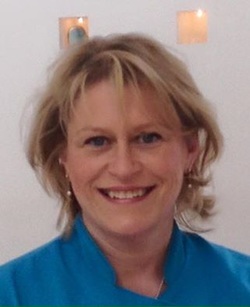 Liz brings Transformational Coaching, Reiki, Reiki Drum and NLP (Tapping) to The Harmony Hub. She offers these therapies on Monday and Wednesday. Kelly is our Massage expert! She offers Deep Tissue, Sports or Swedish Massage and your pre-treatment consultation will enable her to provide the treatment that is just right for you! Full treatment is £35, Back Massage £20 or try a taster session for just £15. Contact Kelly to discuss your treatment on 07762 184617 or for general Hub enquiries phone 07784 930106 between 10 and 5pm or 07931 534474 out of hours. So whether you've got an injury, ache or niggle or just need some calm and relaxation, call in today. 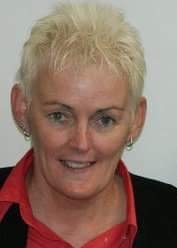 My name is Gillian Morris and I have been involved with Holistic Therapies since the mid 1990's when I qualified in Reflexology. I am very aware of how stress can affect a person in mind, body and spirit. We live in a fast paced world, always on the go with very few people taking time out for themselves and relaxation. I feel society has programmed us to feel guilty if we take time out or have sessions for our wellbeing. I actually feel that it is essential in order to keep well balanced and have less stress in our lives and more happiness. Andy brings Remedial massage Therapy to the Harmony Hub. He works on an appointment system rather than having a set day in attendance. I have had a long standing interest in natural health. During my Ecology degree at Liverpool JMU I independently studied ethnobotany, plant folklore and traditional herbal medicine, and in my spare time also trained extensively in martial arts (eventually settling on Aikido), plus meditation and energy work. It was therefore natural to make a study of TCM (Traditional Chinese Medicine) which has always been very influential in my outlook. After graduating, I worked for a Master Herbalist in his mail order company using the Dr. Christopher system & saw at first hand how beneficial herbs and acupuncture can be at returning people to health. Owing to the nature of the work, I also gained a good overview of the natural health ‘industry’. I trained in Holistic Massage, setting up my first clinic at The Stone Street Practice in Brighton in 1998. In 2003 I also became a biology teacher & taught a variety of courses in addition to Science & Biology including Health & Social Care, Human Health & Physiology, BTEC Health Studies, Access to Nursing & Midwifery, and developed a PreMedical course for Advanced level students seeking access to Medicine. Throughout this time I continued to study & practice natural medicine on a part time basis. Now my studies are coming to a conclusion I feel I can offer a complete system of natural health comprising bodywork and functional therapy and afford to reduce my teaching interest to a more consultative role as a part time lecturer & assessor. Nowadays I prefer the more sedate training of Yoga rather than martial arts, and enjoy walking in the moors, cooking whole foods, photography, blogging and playing Scottish Smallpipes to the annoyance of all around. Susan brings to the Harmony Hub - Reiki, Reiki Drum, and a range of Massages including, Harmonising and Balancing Massage. Energising Massage, Chakra Balancing Massage, Back, Face and Scalp Massage and Aromatherapy Massage . ​She uses her 20 years of holistic experience to offer a range of treatments designed to help mind body and spirit. Previously Senior Massage specialist at the prestigious Stanley House Spa, Sue currently offers Massage at The Sanctuary of Healing. She brings these Therapies to the Hub each Monday. She is at The Harmony Hub each Tuesday afternoon from 1pm to 5pm. Hi I’m Karen, I've just turned 44 and work as a Phlebotomist at my local Hospital. I have been married for 21 years in June to my best friend and we have 2 beautiful children…I found healing 7 months after my husband was diagnosed with a rare brain tumour…Gemistocytic Astrocytoma in October 2013. I was guided by Spirit and friends and committed myself to a 2 year Spiritual Healing course with The Lancashire and District Healing Association. During the course I was drawn to Reiki level one which was a self healing course which I knew I needed, if you're not 100%, how can you help heal others? On 26th January 2014 I received my 1st degree in Reiki Healing, and 12 months earlier than scheduled I received my Spiritual Healing and became a full member of The Lancashire and District Healing Association. I was then, guided to take my Reiki level 2 so I could give more to others in the same or similar position as my family were and are still going through, and completed my 2nd degree 23rd October 2015. Now I can give hands on treatment and distance Healing to all who are in need, including my husband and children. Our Spiritual Healing group needed new premises and they found The Harmony Hub…wow amazing people learnt of our healing and love… receiving our treatment after a mediation is definitely amazing, well so they tell us. At the Hub I was guided to a Reiki Drum Practitioner course, something new to the UK brought over from America in the past 15 years …Wow amazing evidence throughout the weekend… Thank you so much Liz for bringing and giving me the experience and combination of Reiki and the drum. Very proud to receive my Reiki Drum Practitioner Degree 7 February 2016, and bought my very own drum named Luna, she lights up the dark skies with love and healing . Liz’s beautiful energy at the Hub and her passion to teach and give to others brought me to my final degree for now! My Reiki Masters which I completed 18th March 2016. Jane brings Theragem Crystal Light Therapy, Crystal healing, Reiki, AromaTouch Technique (light massage with essential oils), and Coaching to the Hub. “My name is Jane Robson and I have been involved with holistic therapies and pursuing a spiritual path for 25 years. I have been using Theragem since 2007. I initially completed a 2-year Crystal Healing Diploma with the International Association of Crystal Healing Therapists. The Theragem takes this a step further with the crystals being enhanced by the inclusion of colour, natural frequencies in harmony with the body’s own frequencies, and light. These four healing therapies work in synergy to provide healing and positive change, and I select them according to the condition presented. “I have been a student of A Course in Miracles since 2011 and combine this with NLP and IEMT (Integrated Eye Movement Therapy) in my coaching. “I see each and every person as not being broken – they just need returning to a knowing of who they really are – a powerful, strong and bright spirit in harmony with their feelings, health and lives. I use my therapies to complement this understanding and to help people with their problems, whether they be of a physical, mental, emotional or spiritual nature. A full consultation will be carried out before commencing your therapy. Prices are: £35 per hour for Theragem, AromaTouch Technique and Coaching. £30 per hour for Reiki and Crystal Healing. Jane offers these therapies on a Wednesday. Contact Jane to discuss your therapy session or to make a booking on 07985 043051. To learn more, please see Jane’s website www.lifelighthealth.com.